Our mission is to provide you with the highest quality of professional, reliable, and safe tree care. Our company has over 25 years of experience. 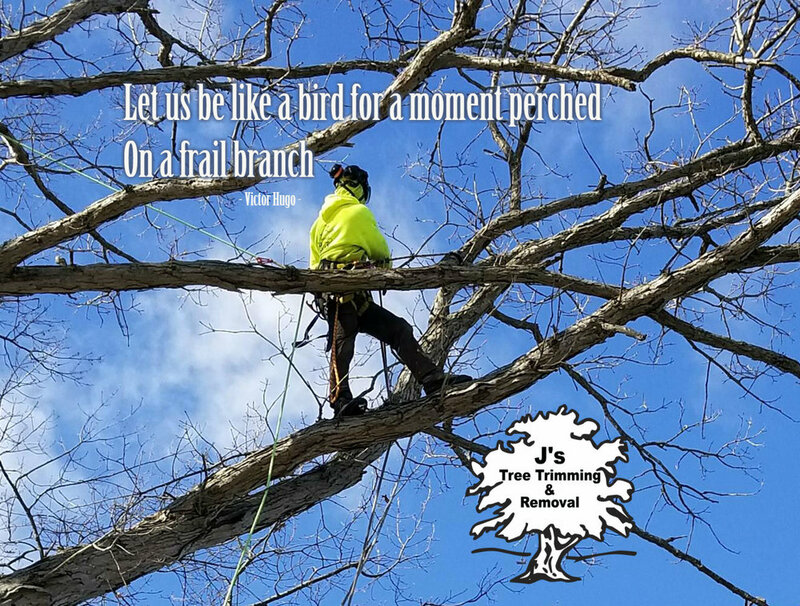 As your yard friendly tree service, J's Tree Trimming and Removal has the expertise to help keep your property safe, by using rubber track machines to prevent damage to your lawn while performing our tree cutting services. We are fully insured, passionate about our work, and customer satisfaction is our number one goal. Use the form below to contact us regarding your tree services needs. Please be as detailed as possible. You may also email or call us to make an appointment. For job opportunities, please use the form on this page and email us your resume. We’re always looking for new and exceptional talent. Please give us a brief idea of your tree needs. Thank you! Someone will be in touch with you within 24 business hours.